More and more cellphones are being used in vehicles as individuals attempt to multitask while they drive. Unfortunately, they are a major distraction that often causes drivers to become distracted and collide with other vehicles. There are strict laws in Louisiana that govern the usage of cellphones in vehicles. However, if someone has disregarded these laws and caused an accident that has left you injured, we can help you seek compensation. At the Law Offices of Scott T. Gegenheimer, we use our more than 20 years of legal experience when handling distracted driving accidents and other car accident cases. Our firm is dedicated to standing up for the rights of clients who have been injured by a driver who was texting while driving, talking on a cellphone or was otherwise distracted while operating a motor vehicle. Contact us today to schedule a free initial consultation with an experienced Louisiana car accident lawyer. Texting and driving is illegal under Louisiana law. It is a primary offense, which means that a driver can be pulled over for texting while driving as the offense that was observed by an officer. This also means that an individual who caused the accident could be cited for the cellphone usage, as well as being held responsible for any injuries that resulted. In some cases, other drivers may not survive the crash. The negligent driver may then be the subject of a wrongful death case, which our firm confidently and compassionately handles, that is filed due to the driver’s carelessness. In Louisiana, it is illegal for a driver under the age of 18 to use a cell phone is a vehicle while driving at all. This means that texting while driving, reading messages while driving and talking while driving. The law also applies to hands-free devices. 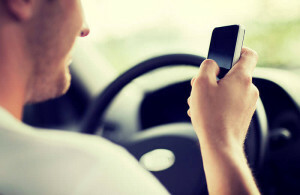 If a driver under the age of 18 causes a car accident while using a cellphone, he or she may be facing criminal charges as well as being liable for any injuries suffered by other drivers and passengers involved in the crash. To learn more about how we handle texting while driving, cellphone accident and other distracted driving cases, call ore-mail the Law Offices of Scott T. Gegenheimer today and schedule a consultation with a Louisiana personal injury lawyer. If you can’t come to us, we will come to you.